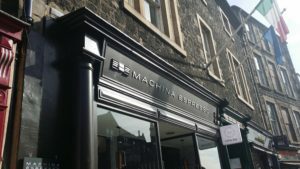 Well over a year ago, I bumped into one of the owners of Machina Espresso outside their prospective second site on Nicolson Street and thought I was on to a scoop. As an illustration of how long it can take from identifying premises to getting things up and running, this second site didn’t open its doors until August this year. I’ve popped in for a few espresso visits already, but hadn’t stopped for lunch until today. Much like their original shop in Tollcross, the interior is super-stylish with light wood to the fore. I liked it a lot. 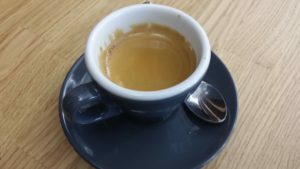 They’ve started roasting their own beans, recently, so it was good to try and bright and well-balanced espresso. 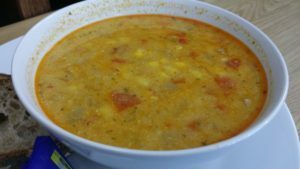 Their food offering includes daily changing soup with sweetcorn chowder today’s choice. This was promptly delivered by one of the friendly counter people. It proved a satisfyingly hearty eat with profuse corn kernels in a beautifully seasoned broth. It hit the spot with consummate class. 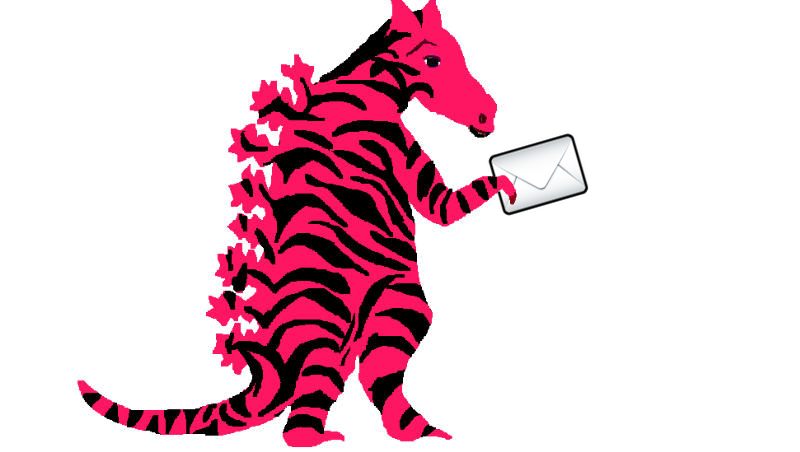 So overall, the second branch of Machina is starting life on very fine form. I was happy with all aspects of their offering on today’s visit and was impressed with the very good quality on offer. 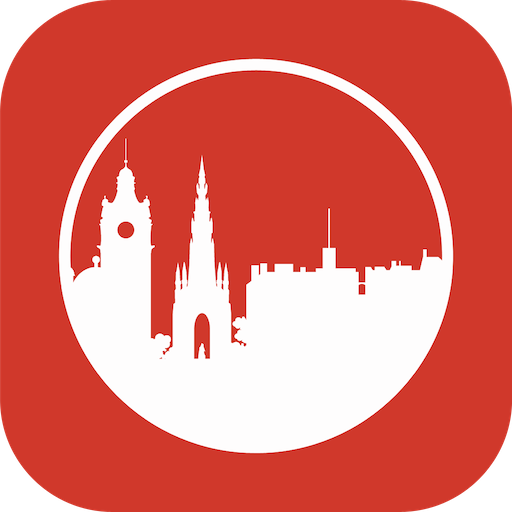 Make sure to visit soon and visit often.